Join us on the beach at 6th Ave N in front of the Casa Marina Hotel for the Beach Life Rentals Beach Cleanup with Flomotion benefiting Expedition Florida 500 and Mr. Mee. This challenge is a two-part event consisting of a beach triathlon and a 5k run. 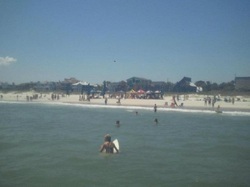 It will be held in front of the Lifeguard Station in Atlantic Beach. This event is targeted at being a fun activity for all ages to enjoy and share in the athletic community spirit that is Atlantic Beach. The first ever Crowdfund Festival with $250,000 to be divided by the people's vote. Jacksonville was rocking, this event was an amazing experience. We made many new connections and beat of all we made even more friends. Thank you to everyone involved in the event! Always our favorite Beach Life event, the 6th annual Matt 'Rasta' Gray Surf and Skate contest is dedicated to the life and memory of a beloved local who dedicated his life to happiness and to sharing it with everyone around him. Matt Gray was often referred to as "sunshine on a rainy" and lived his life for others. 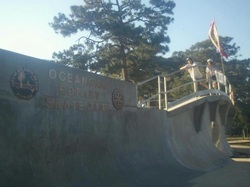 Matt was also highly influential in the construction of the Atlantic Beach Rotary Skatepark which gives safe haven for thousands of local kids and skaters. Matt's legacy carries on through this contest and provides college scholarship to one local student each year. RIP Matt 'Rasta' Gray. The 26.2 with Donna Mission is to passionately produce world class events to raise funds for ground breaking breast cancer research and empower women living with breast cancer. 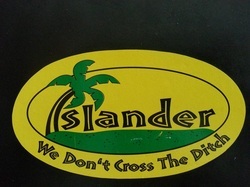 In loving memory of Jimi Stockman - The Islander Man April 14,1959- November 25, 2012. 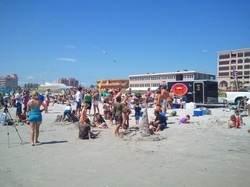 Come see us, Beach Life Rentals ON the beach at 6th Ave. North in Jacksonville Beach (right in front of Casa Marina) for the BEST seats to watch this year's Sea and Sky Spectacular! 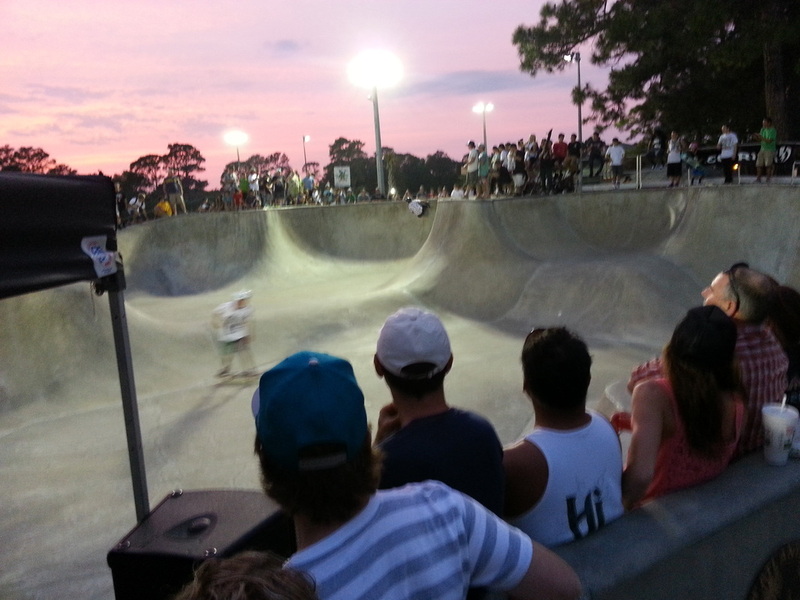 Part one of the two day skate and surf contests put on in memory of the beaches beloved Matt "Rasta" Gray. This event not only celebrates the life of a beloved friend, but also provides scholarship for one student at Duncan U. Fletcher High School. If you would like to make a donation for the 2013 contest scholarship fund please Contact Us. Part two of the year's most anticipated celebration, the Matt "Rasta" Gray Surf Contest! Matt never fails in sending a little swell our way and this year was no different. Held three times annually in the months of June, July and August this event is put on by the Florida Surfing Association to bring locals together and teach children ocean safety, surfing and the importance of a healthy lifestyle. We Love sponsoring local events! Let us know about yours.